These Slim Blue papers are extra long and slim, but are a shade thicker than the White range and a lot less transparent than the ultra-thin Premium range. This paper is ideal when your material does not burn so fast and you require a longer burning paper to avoid joint-ruining side-burn. OCB are one of the finest purveyors of the art of rolling paper with an amazing range of different sizes and thickness though always the same outstanding quality. 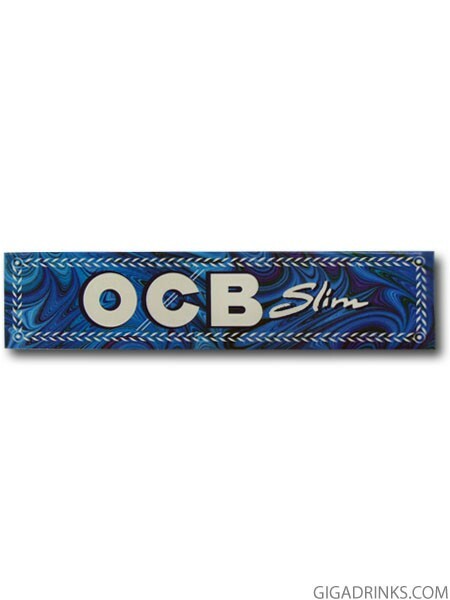 Using pure natural Arabic gum, these OCB Blue Slim rolling papers are a great addition to the OCB range.